In Hacking Cyberspace David J. Gunkel examines the metaphors applied to new technologies, and how those metaphors inform, shape, and drive the implementation of the technology in question. The author explores the metaphorical tropes that have been employed to describe and evaluate recent advances in computer technology, telecommunications systems, and interactive media. Taking the stance that no speech is value-neutral, Gunkel examines such metaphors as "the information superhighway" and "the electronic frontier" for their political and social content, and he develops a critical investigation that not only traces the metaphors' conceptual history, but explicates their implications and consequences for technological development. 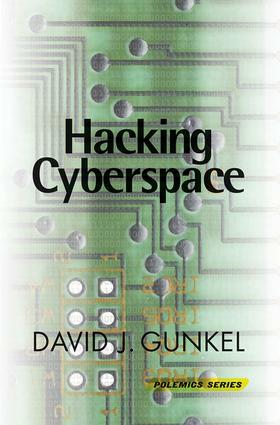 Through Hacking Cyberspace, David J. Gunkel develops a sophisticated understanding of new technology that takes into account the effect of technoculture's own discursive techniques and maneuvers on the actual form of technological development.